1> To ensure that web takes only shear force, a gap of 5mm will be provided between flange plate and web plate. 2> The flange angle must be unequal angles with larger legs connected to flange plate to get more bearing area . 3> The size of the flange angle should be such that they should form atleast one third of the total flange area . 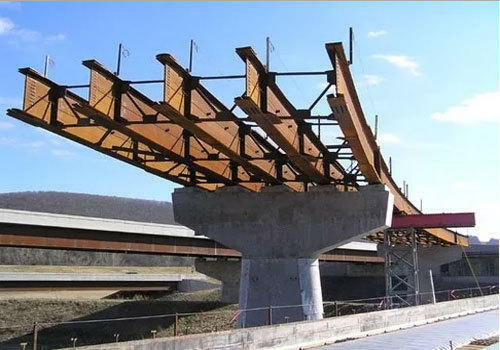 4> If d/tw> 90 ,vertical stiffeners are provided to prevent bucking of web due to diagonal compression . 6> If d/w>200 horizontal stiffeners OR longitudinal stiffners are provided about neutral axis at a distance of.2dw form the compression flange . (they prevent bucking of web due to bending compressive stress. 7> if d/w> 250 additional horizontal stiffner is provided at neutral axis.this stiffner prevents buckling of web between stiffners due to shear force . 8> if d/w >400 then the section must be redesigned . 9> At the support ,to prevent bending of flange plate and buckling of web plate due to support reaction ,end bearing stiffeners are used .